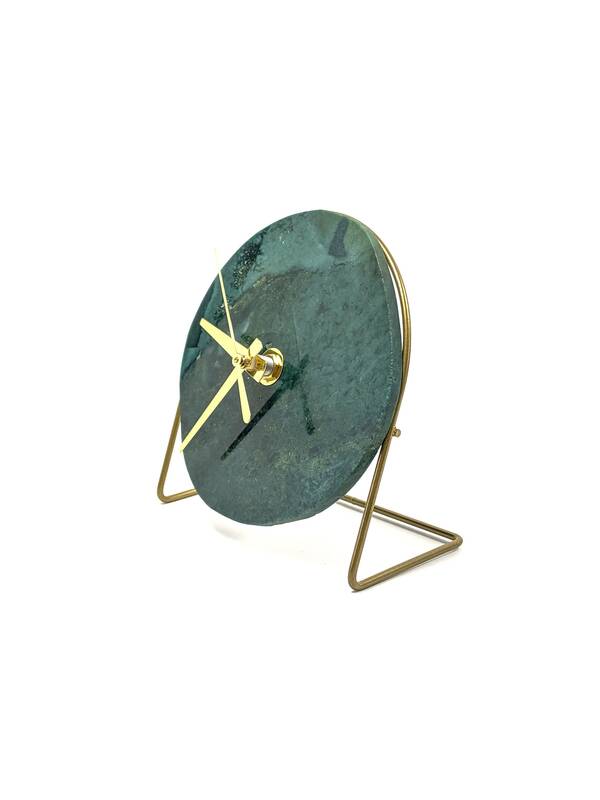 This is the actual green quartz crystal clock you will receive. 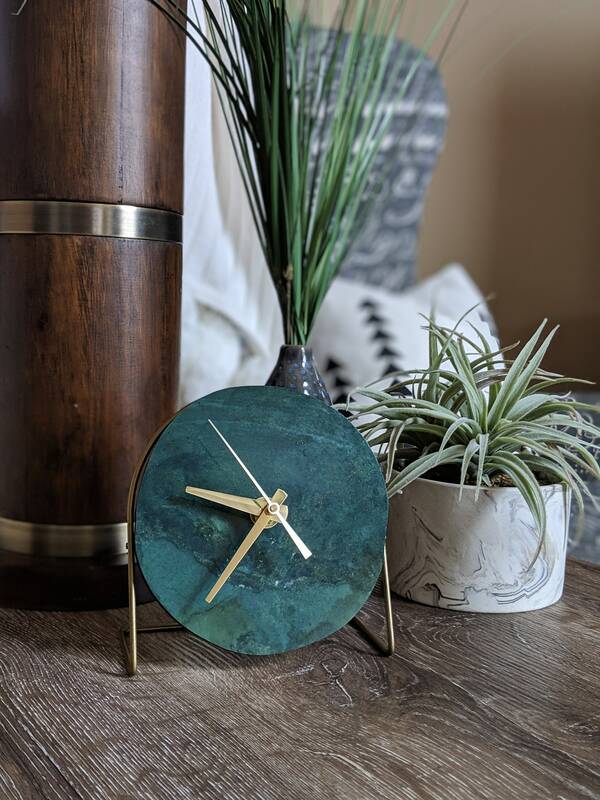 Offered are our hand selected, premium green quartz crystal slabs from our private curated collection sourced from India. 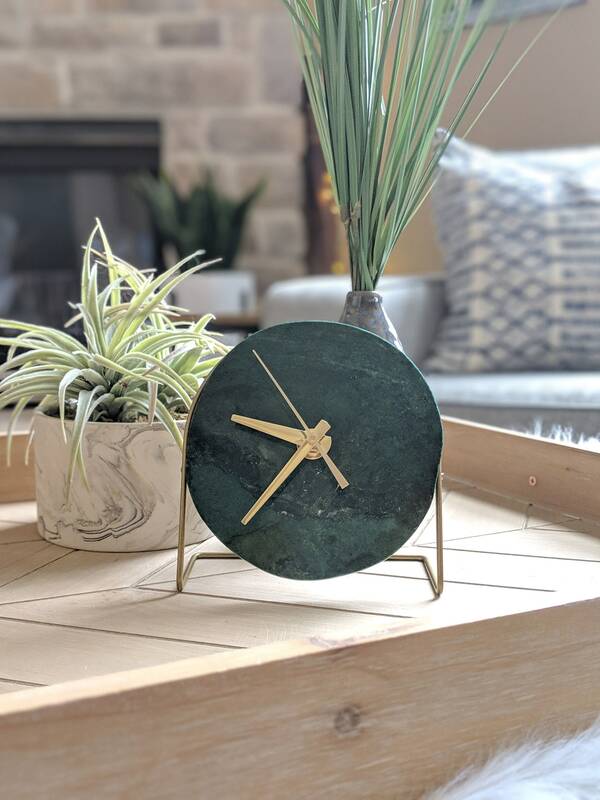 Our exclusive signature handmade modern boho green quartz desk clocks make a delightful gift. Occasions such as birthdays, housewarming, engagement, anniversary and weddings are just a few examples! 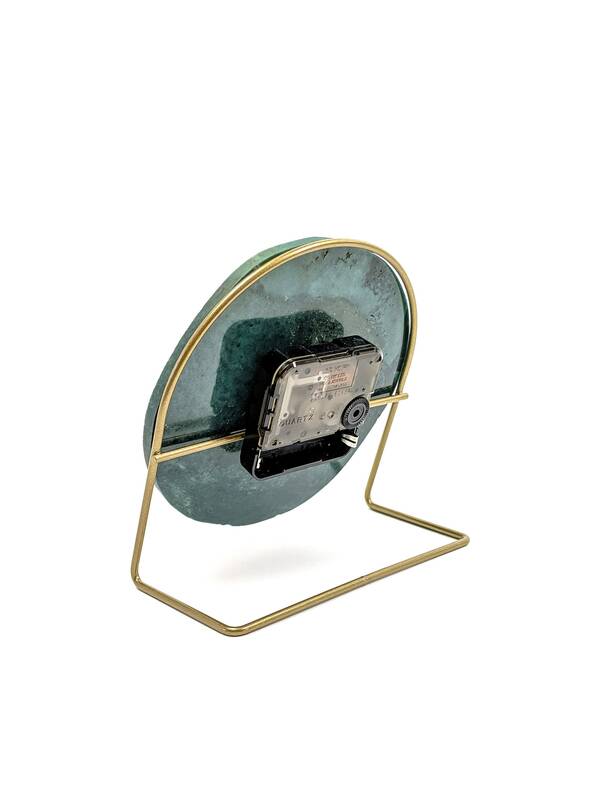 These are also a wonderful treat for yourself to dress up your desk, nightstand and/or bookshelf. 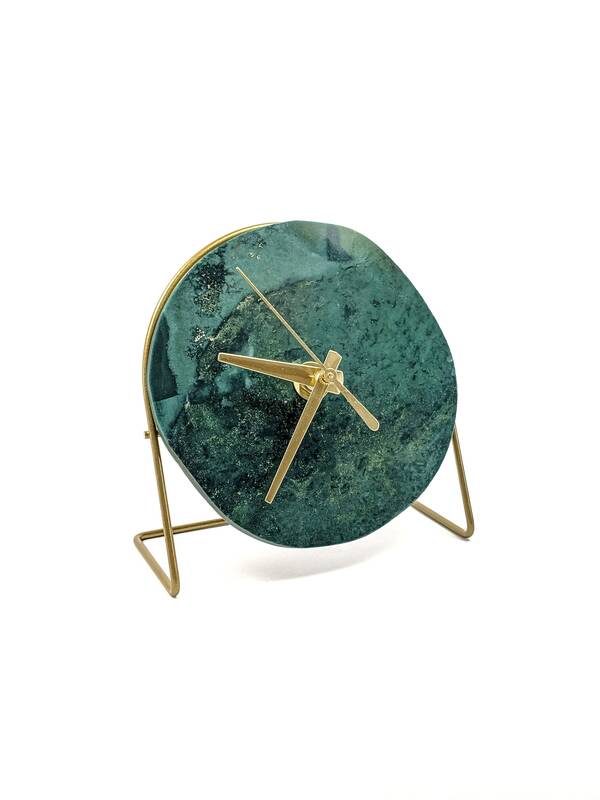 Each green quartz slab is selected for it's unique characteristics which include interesting variegation, movement and coloration. 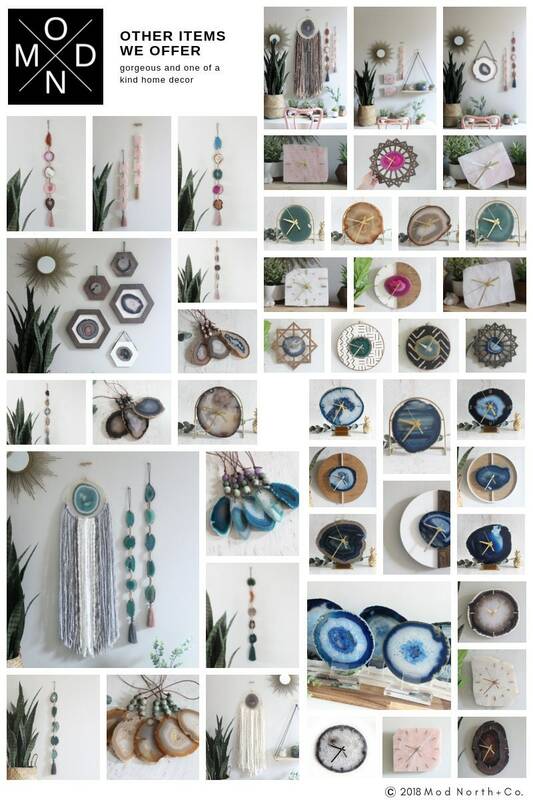 Each Mod North + Co. piece is handmade with love in our studio in Oconomowoc, WI. 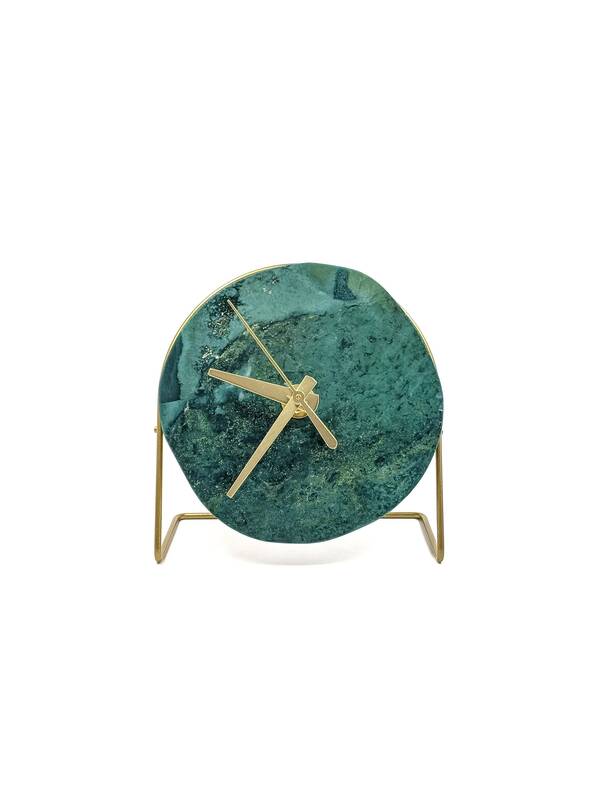 Bring home a lovely time piece that will last for generations!